Item # 306209 Stash Points: 6,995 (?) This is the number of points you get in The Zumiez Stash for purchasing this item. Stash points are redeemable for exclusive rewards only available to Zumiez Stash members. To redeem your points check out the rewards catalog on thestash.zumiez.com. 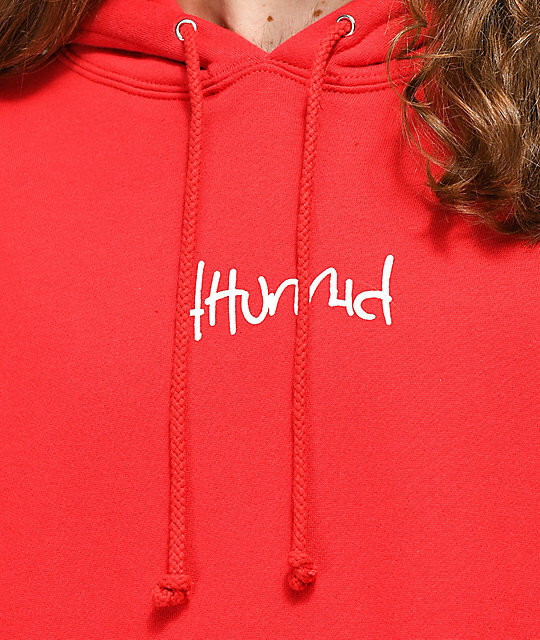 Layer up and show your brand allegiance to 4Hunnid with their Red Checkered Hoodie. This fleece lined pullover is tagless for extra comfort and includes a small text logo on the left chest as well as a large back graphic both in contrasting white. 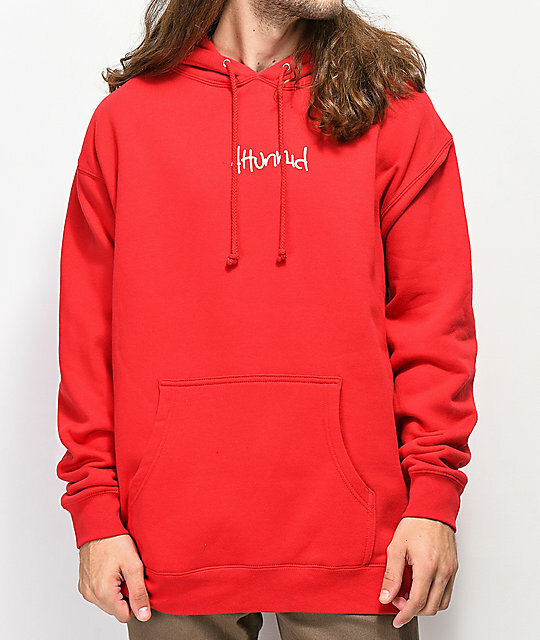 Coming in a regular fit this drawstring hoodie may just be your new daily wear. 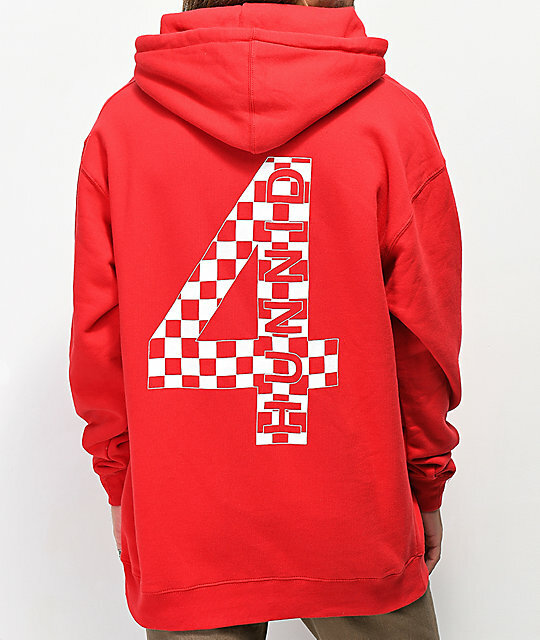 Checkered Red Hoodie from 4Hunnid. Screen printed logo script on left chest and back.